Beach House Bar & Grill - Springfield > What’s On | Beach House Bar & Grill is an Australian themed Bar & Grill celebrating Australian Beach culture and cuisine. We have many specials that offer our customers great value! Here are the regular offers available at Beach House Bar & Grill – Springfield. 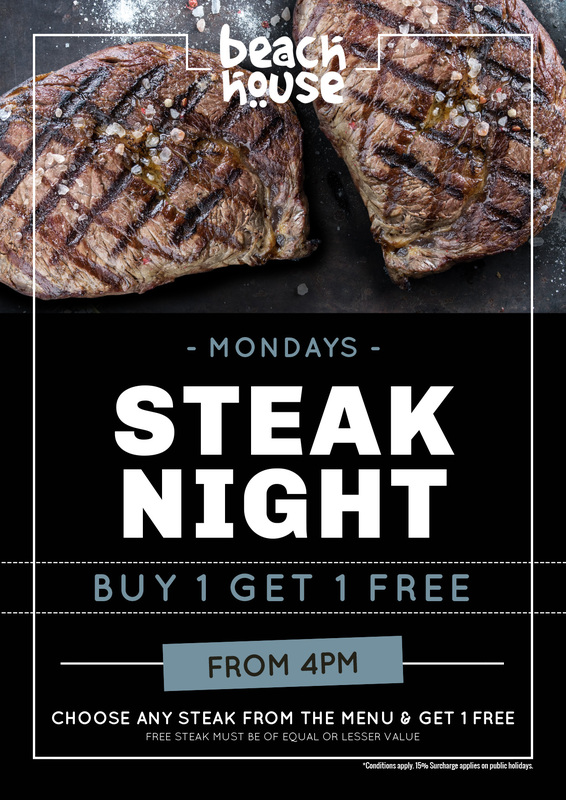 Buy 1 Steak, Get 1 Steak Free! 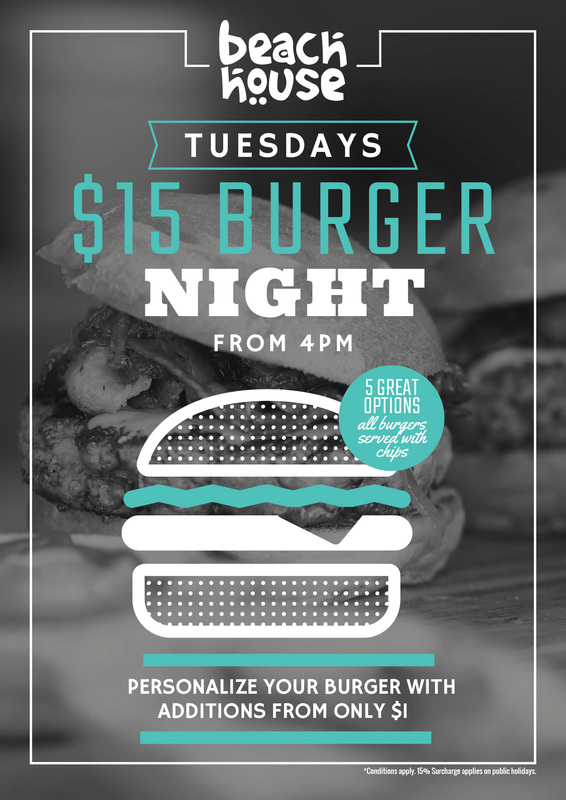 $15 Burger Night, 5 options to choose from, plus additions from $1. 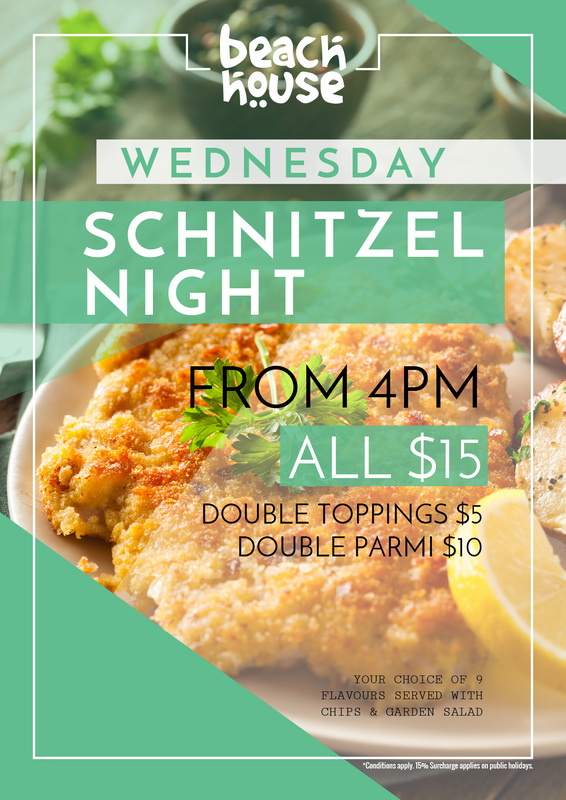 Schnitzel night every Wednesday. All just $15. 9 to choose from. 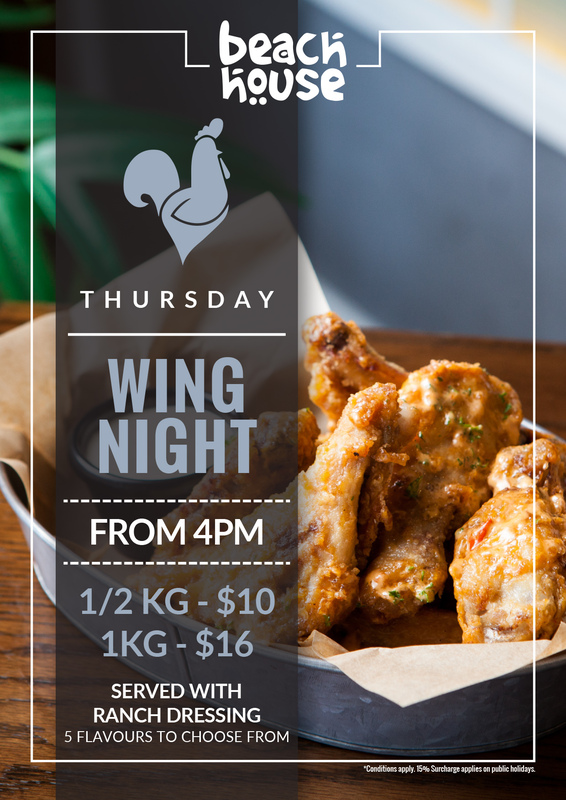 Come in Thursdays for a great wing deal! 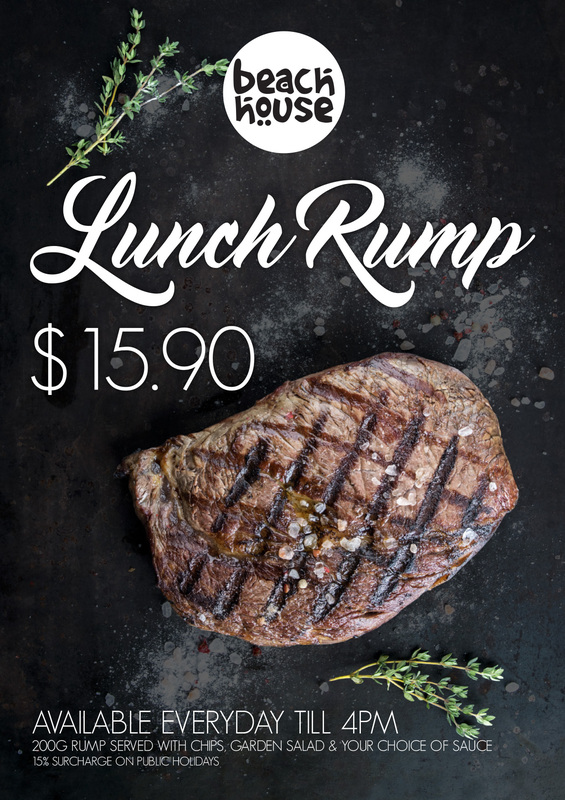 1/2kg for $10 or 1kg for $16! 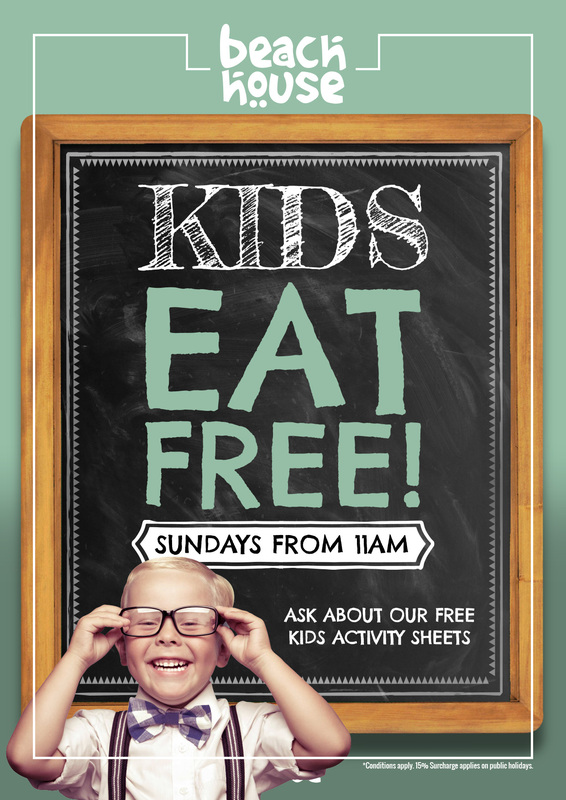 Kids Eat Free with any Adult meal purchase. Beach House Bar & Grill has a number of special events that mark special occasions throughout the year. Here are the events available at Beach House Bar & Grill – Springfield. 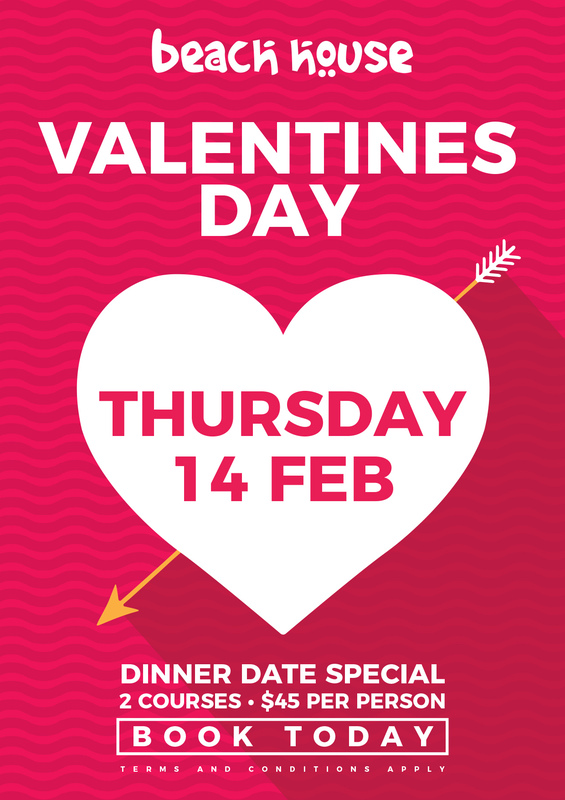 Celebrate with the one you love at Beach House!